The cultural heritage and creative talent of the people of Uttarakhand will come to the fore at an event scheduled to be held in Auckland next weekend. 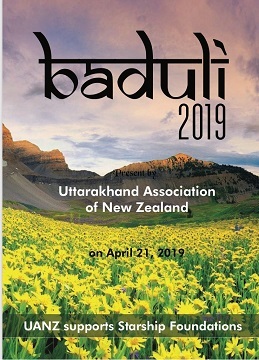 ‘Baduli 2019,’ a music programme organised by the Uttarakhand Association of New Zealand (UANZ) is scheduled to be held on Sunday, April 21, 2019 from 11 am at Avondale College, located at 51 Victor Street in Avondale. ‘Baduli’ means ‘hiccup’, is a word that is typically used in Uttarakhand folklore while attributing the occurrence of a hiccup to a loved one or relative thinking of you. For Uttarakhandis, both in India and overseas, ‘Baduli’ has acquired a larger meaning in their lives as they indulge from time to time in fond reminiscences of their homeland and its people, regardless of the occasional hiccup. It comes as no surprise then that the word, Baduli, was an apt choice for a series of events organised by Uttarakhand Association of New Zealand to celebrate the heritage, culture and traditions of Uttarakhand in North India. ‘Baduli 2017’ was one such musical programme that promised and delivered not only entertainment but also showcased Uttarakhand’s indigenous musical instruments such as the ‘Dhol Damau’ and the ‘Hudka’ (types of drums) and Morchang (Jaw Harp) to the Uttarakhand and Indian Diaspora as well as to all other New Zealanders. The ‘Baduli 2019’ team, along with the support of its sponsors and others, has worked tirelessly to create a programme of fun and cultural extravaganza. This Programme would also provide an opportunity for the audience to enjoy and learn something new about the culture of Uttrakhand through its soulful music right from the heart of the mystic mountains. We sincerely hope that you would enjoy the ‘Baduli Souvenir’ book. 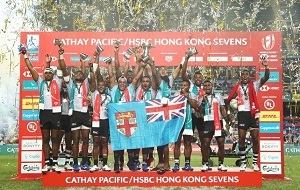 We would like to thank all our audience and members for their contribution towards this event. A part of the proceeds will be given to Starship Foundation, which does a commendable job of keeping Tamariki New Zealand safe and healthy. His first album was titled ‘Buraans.’ He has sung over 1000 songs. Although he composed most of his music in the folk genre, his lyrics depict a huge range of anxieties, tensions and human insights of the people of Uttarakhand. Songs like ‘Naya Zamana Ka Choron,’ which show generational disparity, ‘Bot Chitthi Kile Ni Bhezi,’ depicting the innocence of adolescent love and ‘Tehri Doobhana Lagyun Cha,’ which shows the pain of people losing their homes are some his hits. Hindi film industry singers including Udit Narayan, Lata Mangeshkar, Asha Bhonsle, Purnima, Suresh Wadkar, Anuradha Paudwal and Jaspal have performed in Garhwali films under his music direction. Kiran Joshi is a talented singer who has performed in many languages. She has participated in many national and international shows and is a recipient of many awards. A lyricist, composer and director, Kishan has won several awards including ‘Uttarakhand Bhusan,’ ‘Youth Icon,’ and UFA. Anurag Negi is a rhythm artiste and has been featured in almost all hit songs of Uttarakhand. He has also performed in various national and international shows. Mohan C Joshi is a talented flute player of Uttarakhand. He has performed with all the eminent artistes and bands of Uttarakhand. He lives performances are telecast on TV Channels in India. Khushi Joshi is a talent singer who has performed in many languages. She has appeared in many national and international shows and won awards. Satendra Singh is a master of Dholak and is associated with many reputed bands of Uttarakhand.